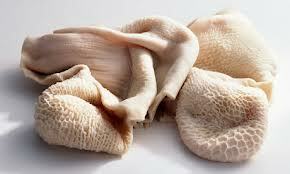 A trip to Spain and a plate of tripe! For the past few days I’ve been holed up in bed with the “lurgie” (a tummy bug). In a reversal of roles, Meredith has been cooking and caring (she was ill first)–serving up simple, delicious, restorative vegetable soup and scrambled eggs. Yesterday I had stomach enough to read a brilliant piece in The Observer newspaper by food writer Jay Rayner challenging people’s reluctance to give a second try to food they have detested eating (or in my case, the thought of eating)–tripe for instance. It transported me back nearly 35 years to Madrid. Angharad and I were in Spain to promote Poldark, which was proving enormously popular there. At that time there were only two TV channels–and the other one was devoted to parliamentary debates. The visit was an extraordinary experience. Years before Angharad had spent some months in the city au pairing for the family of a well known psychiatrist–a friend and professional colleague of her father Professor Lynford Rees. Her return had a particular resonance for her and the Spanish family. To celebrate, they threw a lunch party for us at their home. It was a moment of peace, an escape from the craziness of the celebrity culture that was new to me and which I was finding both exciting and at times hard to handle. (At one point, the tabloid johnnies were crowding me with questions about how it was that at the age of 35 I wasn’t married. Angharad–sensing the danger of an explosion–whispered in my ear, “Smile, Robin, for heaven’s sake, SMILE!”. 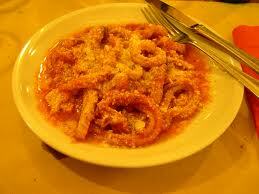 The party was delightful, of course, except for one detail: The main dish was tripe in tomato sauce. Photo found on the Internet–but strongly resembling the dreaded dish. Tripe, I’m told, is a delicacy in Spain–and cooked by an expert (I have to take Jay Rayner’s word for it) it’s delicious. I eat most things–growing up in the fifties, fussiness about food was not encouraged in our house. The starving children in India featured often at meal times when a reluctance to polish off the last crumb was shown. My mother never tried tripe on us though. I remember looking down at the plate I’d been offered and after a moment mastering feelings of politeness, guilt and hunger, turning discreetly away from the crowd and parking the plate of offal, untried, behind a palm tree. There have been moments since–in Florence for example where street stalls selling steaming piles of tripe are a regular sight–when I have thought about giving it a second try. So far I have managed to resist the temptation. Anyone else willing to own up to a food phobia? A week nearly since Angharad died. The response on the blog has been extraordinary. Over twelve thousand hits and an outpouring of emotion that has astonished me. She touched so many hearts with her performance and–for those that met her–with her charm and zest for life. Her early death at 63 is shocking and promotes a feeling of disbelief–how can this be? 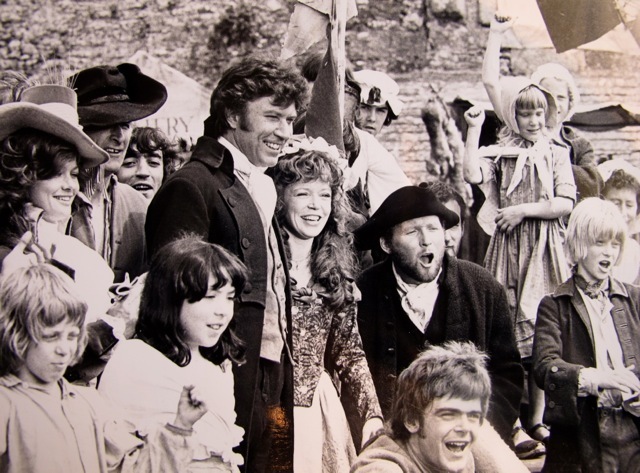 Many people are watching Poldark again on the newly-reissued DVDs or on Netflix in the USA and there she is in her prime–fiery and proud–in full flood, giving as good as she gets and eventually winning through. It seems impossible that she’s gone. 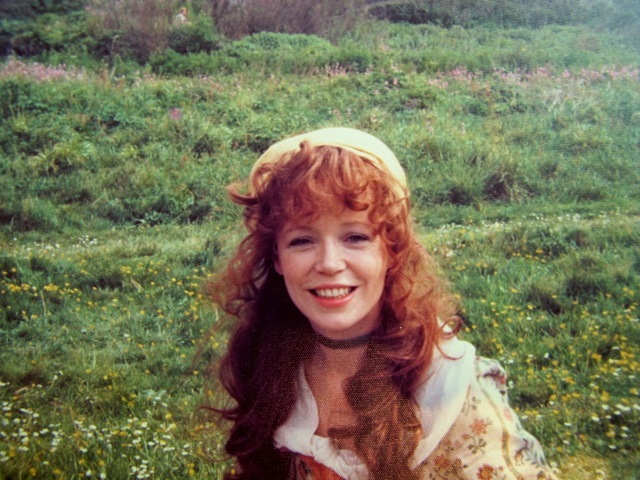 Karen H in her comment recalled Demelza’s words in the final scene of the series. 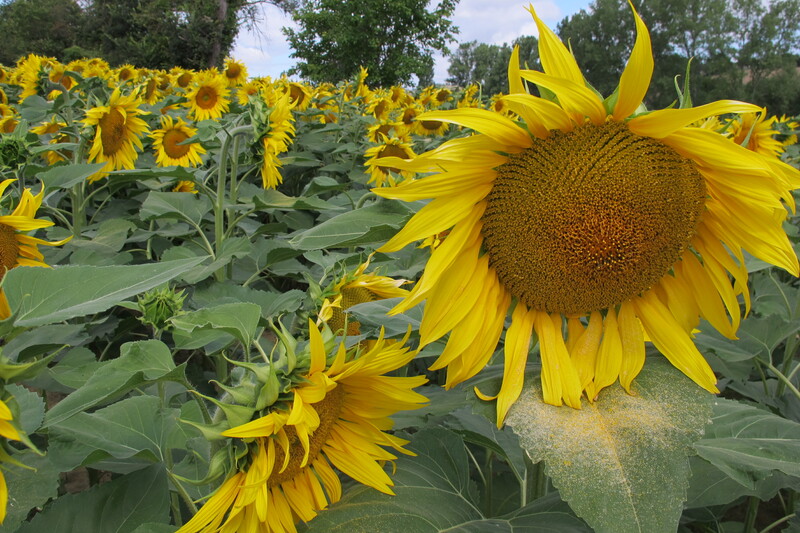 The hay is in and the sunflowers are beginning to bow to the inevitable. 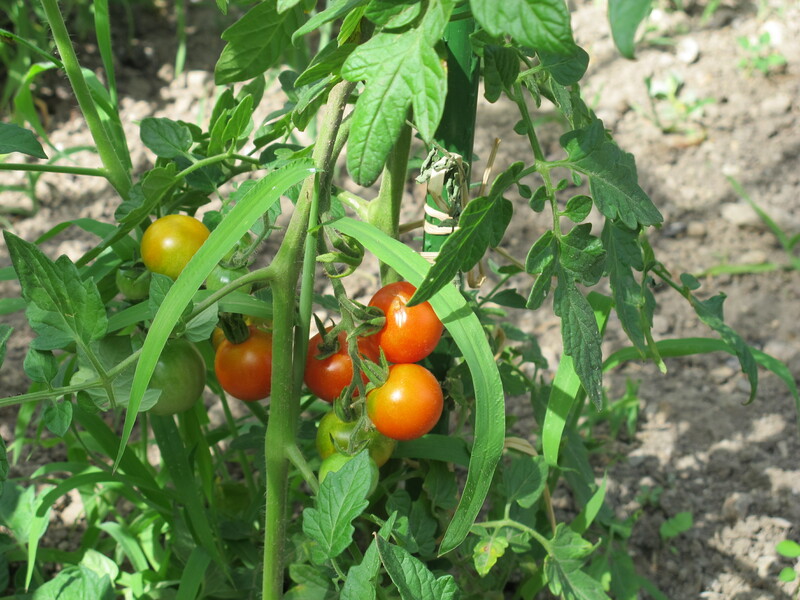 The tomatoes–better tended than last year–are ripening. 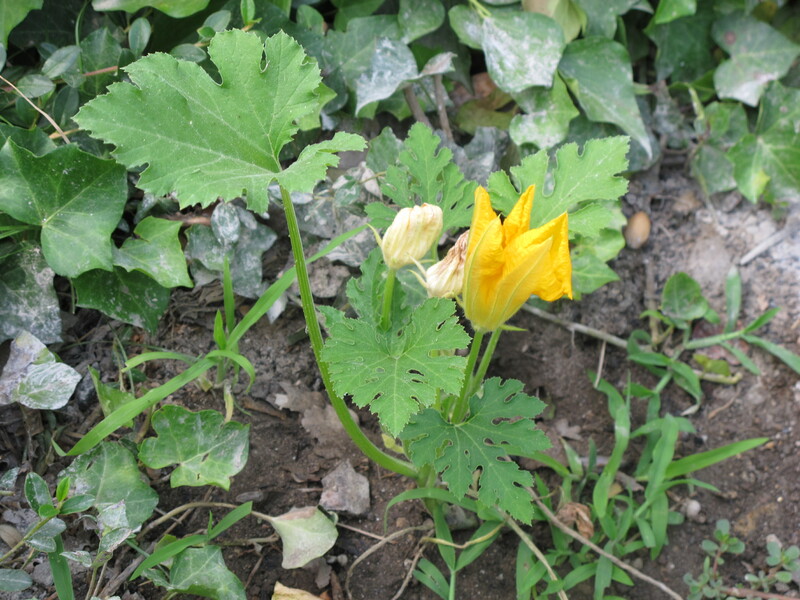 Even the two courgette plants are surviving. 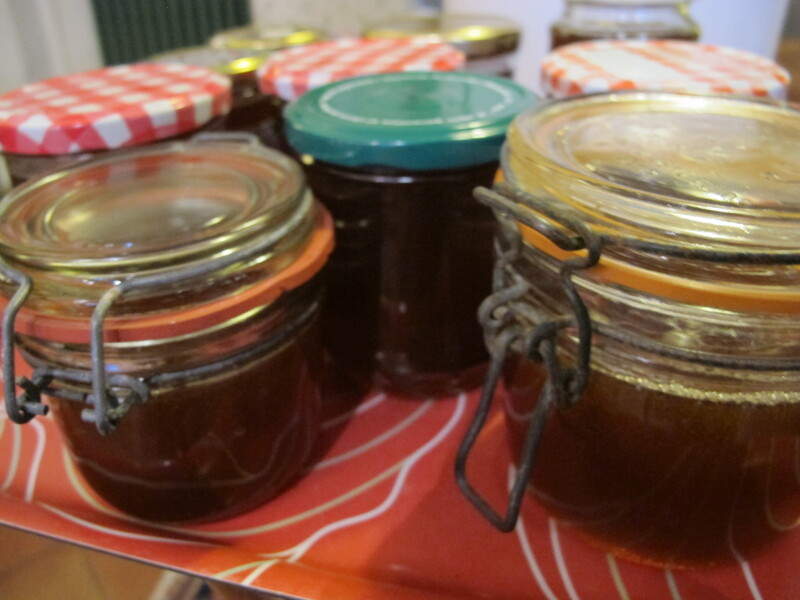 Meredith and Alice collected five kilos of honey from the hive this week in the second harvest. It has a deeper hue this time due to the different plants the bees are working on. 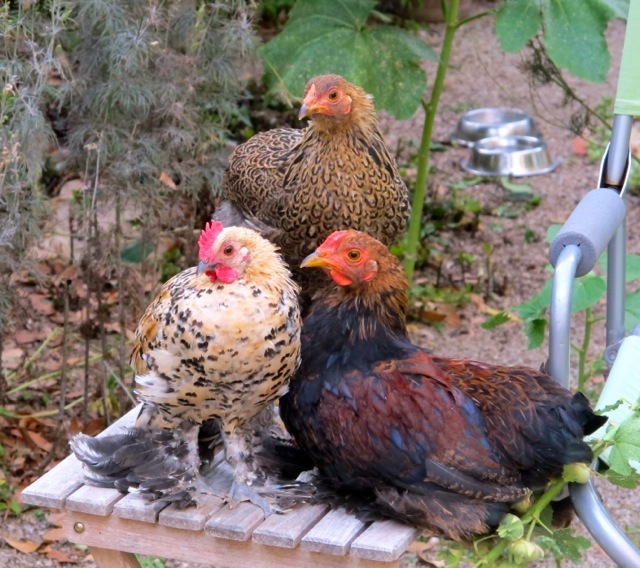 The chicks are no longer chicks and are roaming wider each day on bug patrol. The garlic is drying in the barns as the Lautrecois, (us locals! ), look forward to the annual Fete de L’Ail Rose–held always on the first Friday of August–in a week’s time. If the weather holds we can expect over 10 thousand people to mill through the narrow streets of the village. Sawle Feast was a more modest affair back then but surely no less anticipated and prepared for by the Nampara household! It has touched me deeply to read the many comments and learn how moved people are by Angharad’s passing. 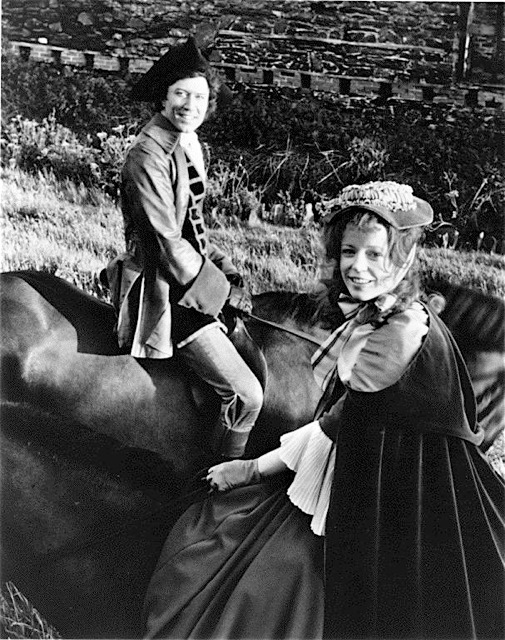 I have just heard that Angharad Rees has died aged 63 from pancreatic cancer. Angharad was a wonderful friend and talented professional colleague. Her portrayal of Demelza in Poldark was definitive and the series could not have enjoyed the success it had without her unique spirit informing the role. We shared a very special time. I will always remember her with enormous affection and respect. She was a person who took pains to care for others. She spread her magic where ever she went. Her sense of humour was a joy and often for me a morale booster. It was a privilege to know her. —chicken paillard with a side order of spagetti in tomato sauce was a regular choice. The combination felt very Italian though I’m still not sure about that*. 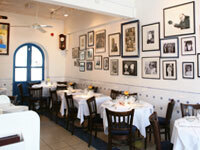 where they also served the quaintly named teenage lamb cutlets–we knew what they meant, but it brought a smile. It was/is owned by the now legendary Alvaro Maccioni. 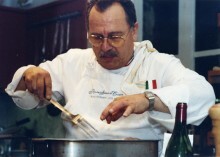 Originally from Vinci, northwest of Florence, Alvaro learned his trade at Mario and Franco’s La Terrazza in Soho and before opening La Famiglia ran a nightclub on the King’s Road in the swinging Sixties. Sunday night was his night off; he and his family always watched Poldark–he told me. I was lunching there one day with Ralph Bates–villainous George Warleggan in the series. Alvaro approached our table looking grim–offended even. A couple of weeks later Angharad Rees (aka Demelza) and I were at the same table. 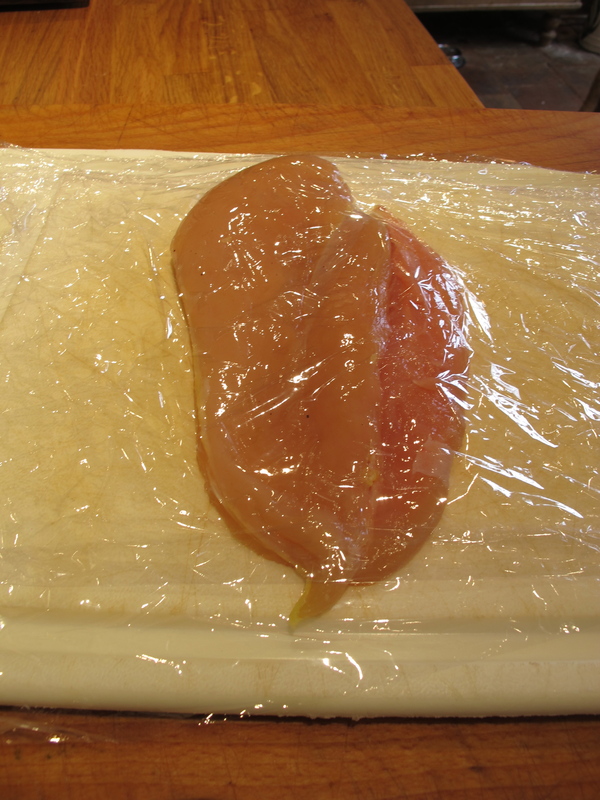 On a chopping board, lay out a sheet of clingfilm at least twice the width of the breast you are about to beat. (Putting a folded dish cloth or drying cloth under the board helps to keep it in place). Carefully place a breast in the middle of the sheet. Lay a second sheet of the same size over the breast. Using a rolling pin, mallet or similarly heavy kitchen utensil–beat the breast to flatten and widen it, taking care not to damage it. Repeat the process with the second breast. 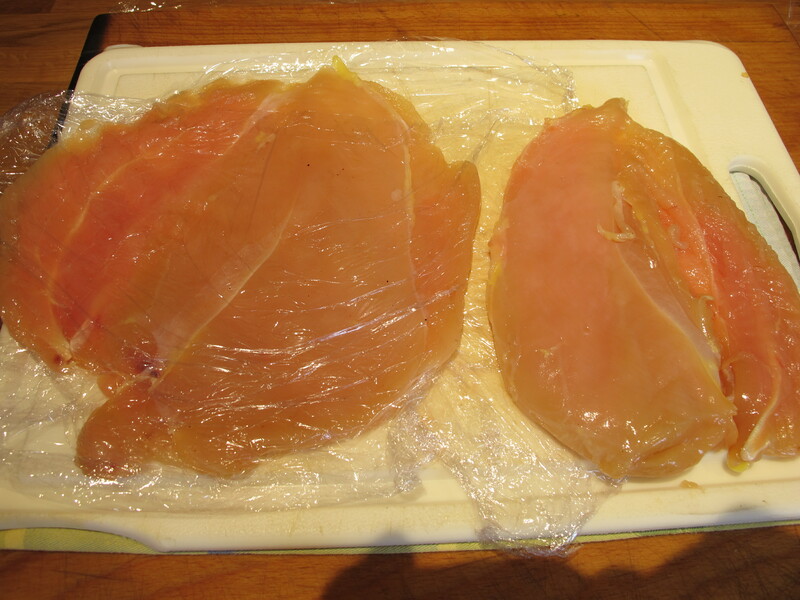 Peal back the clingfilm and place the first breast on a large plate. Pour some of the marinade evenly over the chicken. Place the second breast on top and pour over the rest of the marinade. 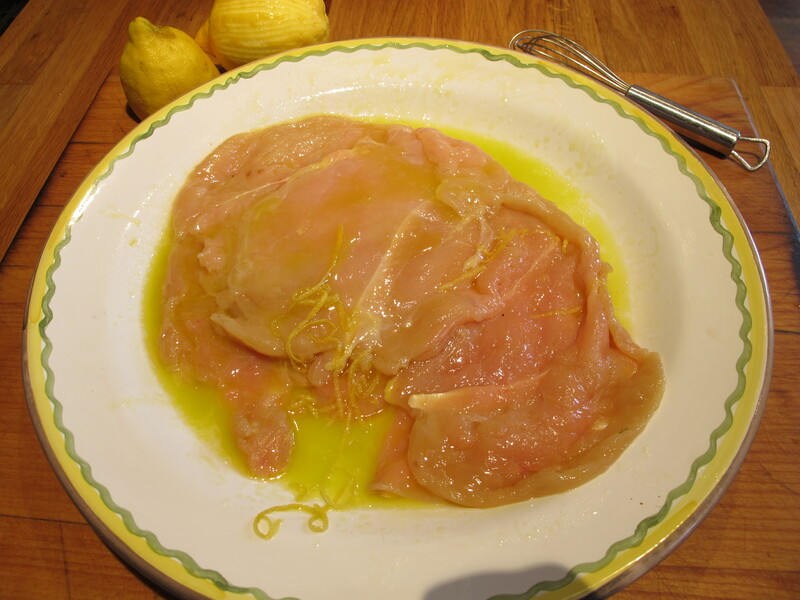 Move the breasts round some to coat them in the mixture and leave for half an hour. 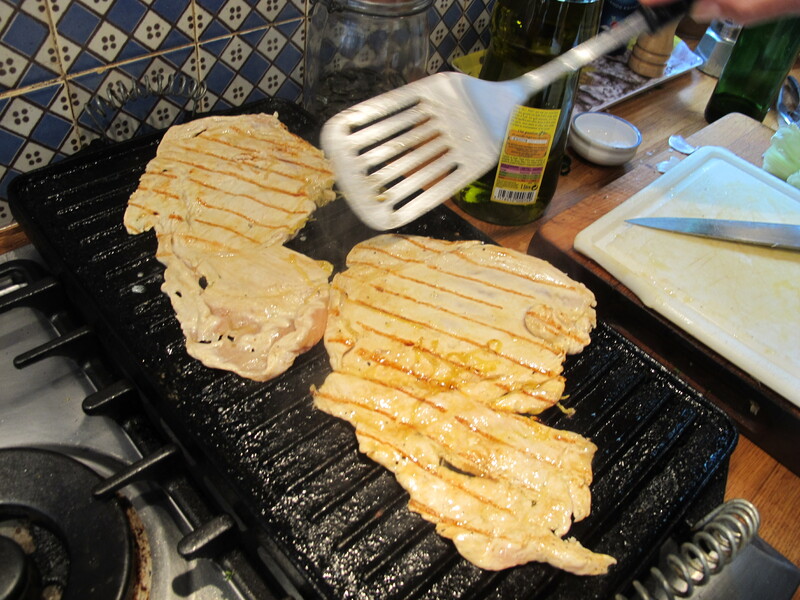 Heat a grill pad or large frying pan on top of the stove. 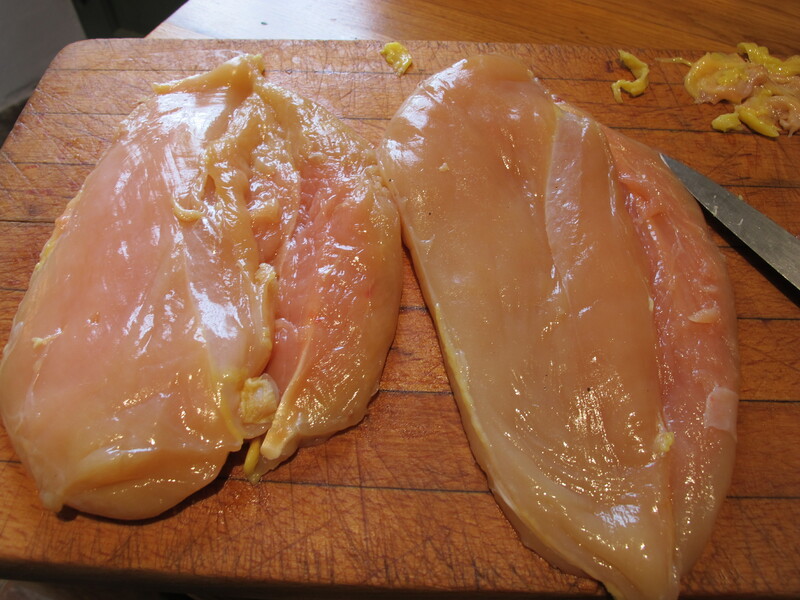 Season the breasts and place them on the heat. Remove to a serving plate and pour over some of the sauce. A fresh green salad is a good accompaniment–and/or, as above, some beans. * This is a question for regular commentator Beatrice Papi to answer perhaps–would this be a strange combination to ask for in Florence, Beatrice?